If you’re ever scared about what you might find in your pantry, it’s probably time for a solution. Pantry design is an often-overlooked piece of your home, but the truth is you can waste a lot of space, food, and money with a faulty layout. With a customized pantry design from the team at More Space Place, you will be more efficient and organized, speed through meal prep, and have an overall cleaner kitchen. Let’s take a look at a few ways that you can make the most out of your pantry. The first step is to look at your pantry and see if you can figure out the obvious problems. Are you able to easily access every item without digging out the items towards the front? If not, imagine how easy it would be to install a tiered lazy Susan to maximize the usefulness of tricky corners. Are there food items in the back that have blown past their expiration date? 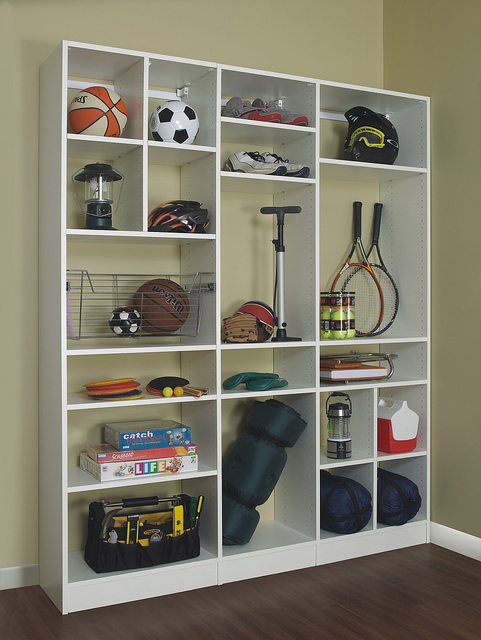 Think about the ways that you can organize the space to ensure nothing will be easy to forget about. Features such as pullout bins, baskets, and drawers let you take advantage of your entire space, without making impossible to reach when you need it. 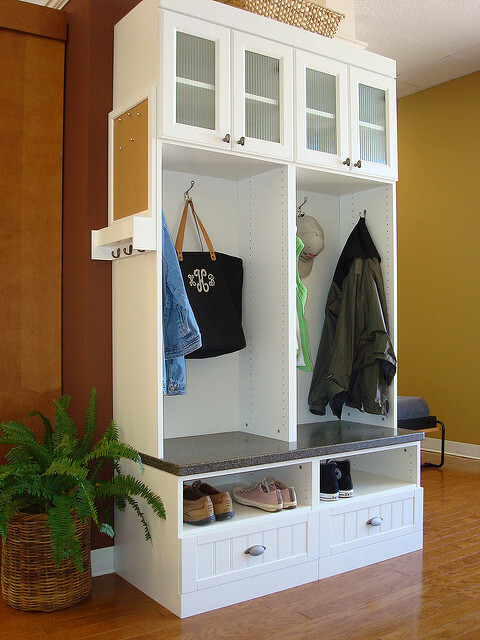 Custom cabinetry allows you to set up a system that works perfectly for you and the lifestyle of your family. When you examine your pantry, you might notice that one shelf is just the right size, but another is far too tall. Perhaps the layout you had years ago no longer works for you. 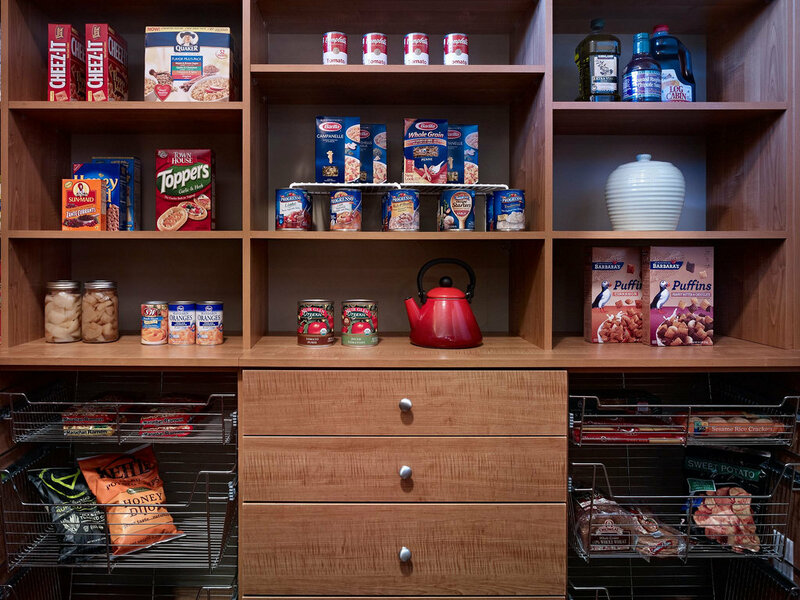 By choosing a custom pantry from More Space Place, you can build a system that can evolve with time. 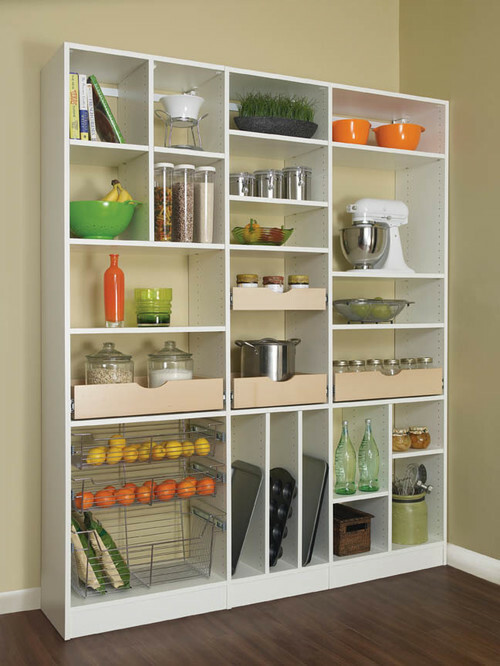 Pullout shelves and trays keep your items neatly organized, while height-adjustable shelves allow you to modify your pantry if necessary. Now might be the perfect time to add the wine racks you always wanted, with custom niches to hold your favorite glasses. You could even make plenty of room for your small appliances, so they don’t clutter up your countertops. As your children get older, it is important to give them a way to help out in the kitchen. Not only will this help you lighten the load of household chores, but it will also teach them responsibility. Furthermore, if they are involved in the process of packing their lunches, they are more likely to eat what’s inside. Set aside a lower cabinet or shelf for the foods they enjoy eating. A streamlined system with designated baskets for different snacks can help small children find what they are looking for. You get to stock what goes inside, but they will feel motivated by their ability to choose. By now, you should understand that the ideal pantry for you is truly unique. The best pantry design takes your family dynamic into consideration. Your pantry can provide you with the kinds of organization, efficiency, and storage you will consistently use from one year to the next. Get started today with a free in-home design consultation and price estimate from the experts at your local More Space Place!